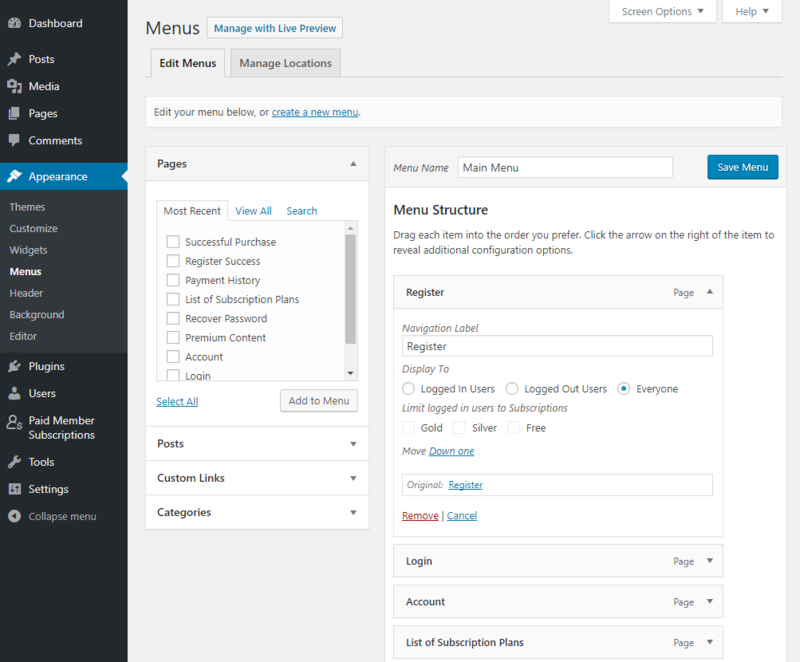 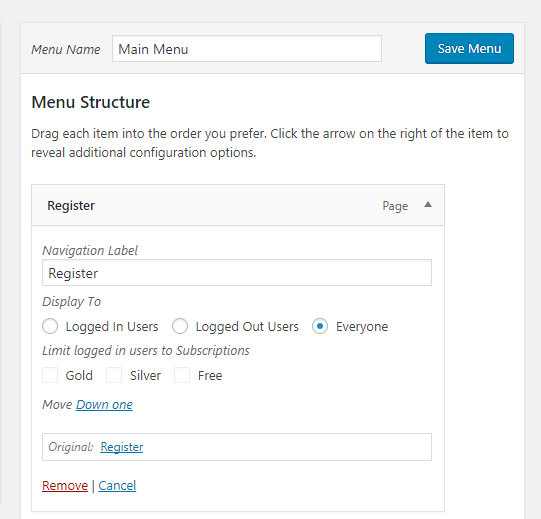 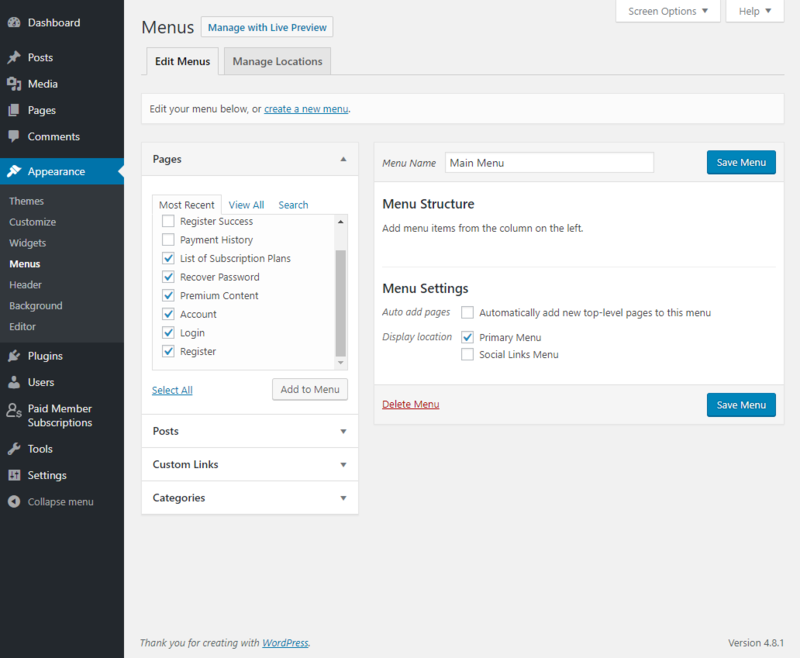 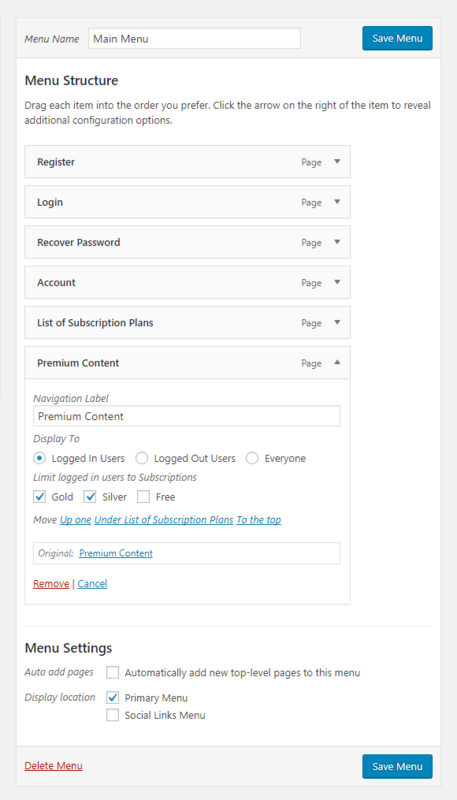 Using Navigation Menu Filtering add-on you can dynamically display Menu Items based on Logged In status as well as based on specific Subscription Plans or add direct links to subscriptions actions to your menus. 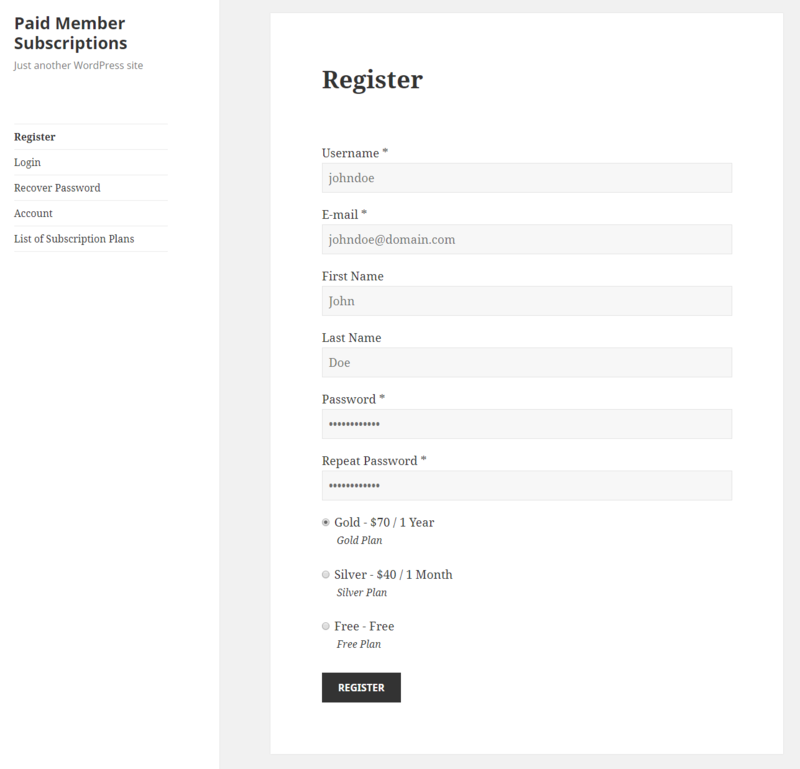 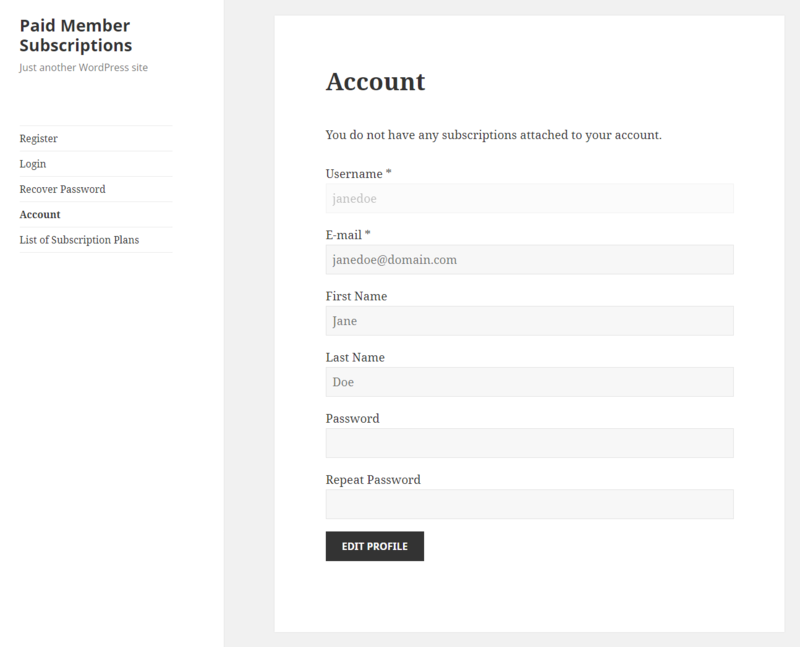 Find out more by reading this documentation for the Paid Member Subscriptions – Navigation Menu Filtering Add-on. 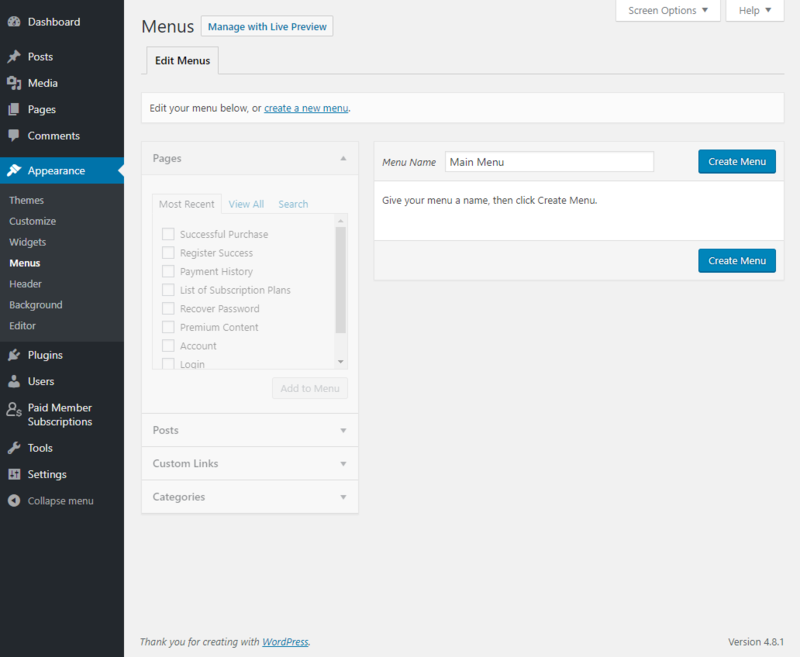 For the latest features and fixes view the changelog. 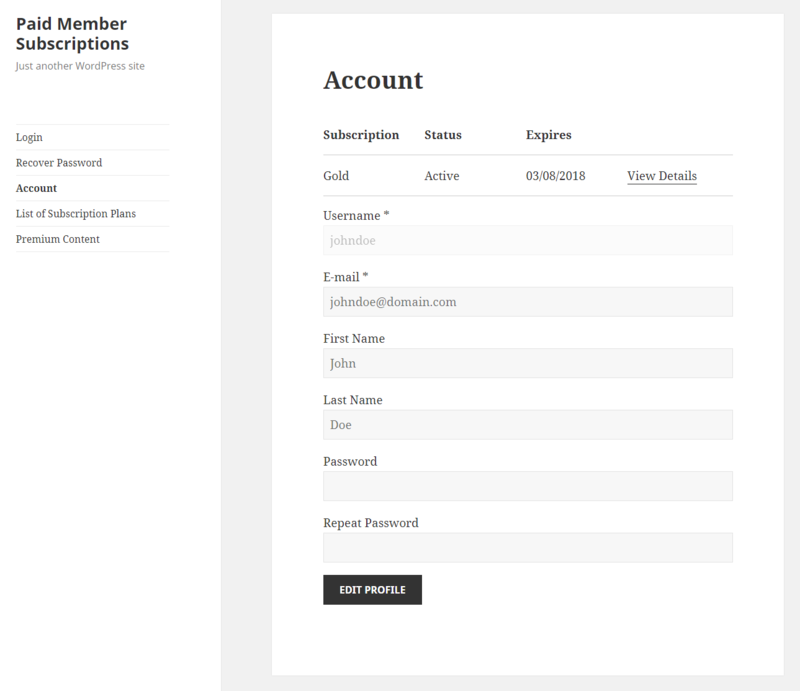 This is a Basic add-on and is available only with a valid Hobbyist or Pro License. 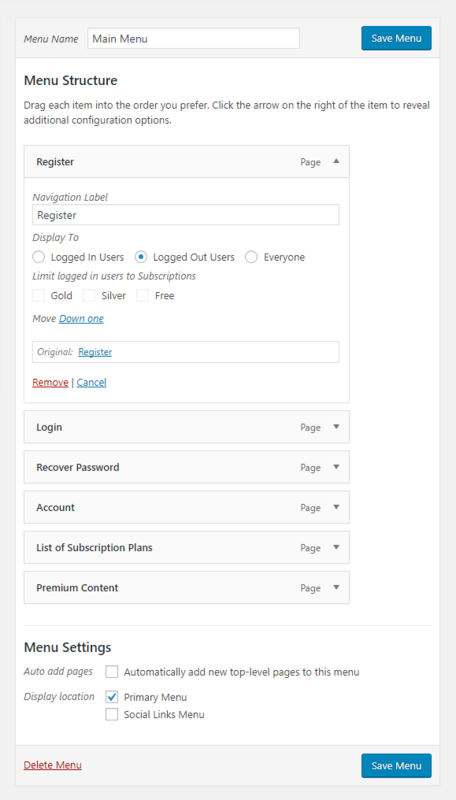 Subscribe to get early access to new plugins, discounts and brief updates about what's new with Cozmoslabs!